What do you do when you need your furniture hauled off or you have plenty of scrap materials that need to be removed from your property? If you are seeking quality Dumpster Rental services in the Pasco, Florida region, we are here for you. At Best Dumpster Rentals we are eager to share with you our many quality tips geared around cheap dumpster rental, waste management removal, and dumpster services. With that in mind, let’s discuss the top seven tips to conduct effective waste management practices. If you want to know how to maintain your waste and get it taken care off quickly and effortlessly, keep reading. It is crucial to know exactly what you can and can’t throw away inside of our dumpsters. In fact, there are specific regulations that are geared toward ensuring that no hazardous or harmful material is thrown away in an unorganized matter. With that in mind, here are a couple of the hazardous products and materials that you cannot throw away. With that in mind, this list is only a shortened list of chemicals and products that cannot be thrown away due to safety concerns. If you are unclear of what you can and can’t throw away, you can contact us and we will run through the guidelines with you. As the second tip to conduct proper waste management, it is important to know what you can throw away and plan for it. With this, we offer dumpsters at various sizes to accommodate the different products you may need to throw away. If you recently went through a renovation, then you will be glad to help. If you need to throw away old furniture, we can do that too. With that in mind, here is a list of the following products that you can throw away. Knowing this list will help you identify which products you can throw away inside of our dumpsters. As your Pasco Florida waste management service, we want to help you find the proper waste dumpster. If you are seeking to conduct proper waste management, then it is important to know what size dumpster you require. With that, Best Dumpster Rentals offers various services for Pasco, Florida. For instance, we offer smaller dumpster rentalsalongside commercial dumpster rentals for construction companies. If you are in the construction industry and need a quality Pasco Florida waste management service, we can help. However, if you are a smaller independent company or simply need residential dumpster services, we have a size to fit your need. Now, this specific waste management tip is really great for individuals that live on a stretch of land, have a farm, or garden often. Having a compost heap can be one of the most beneficial methods for proper and effective waste management. The reason being is that having a compost heap where most of your yard waste such as leaves and other vegetation ends upcan eventually become food for your soil. Having a compost heap eventually will become fertilizer, which is excellent in maintaining a quality lawn, a beautiful backyard, and a fruitful garden. Now, this may seem like a pretty standard tip, but it is effective. One of the ways to maintain proper waste management is to reduce waste volume. For instance, if you recognize that much of the food you cook or buy is being thrown away because it is going bad, then it is important to consider buying less so you have less waste. With that, it is important to consider recycle products such as a carton or recyclable containers that can be taken or picked up for recycling. With that in mind, reducing waste volume starts with changing your habits! We have all heard the term, “one man’s trash is another man’s treasure.” Well, that is certainly true! If you want to keep your waste management down, then it is important to consider giving away or donating. If you do not want to spend the time or money in getting rid of your furniture or other items, consider a garage sale or donating it to individuals that may need it. With this, you are not only reducing the waste build up but also helping out a person in need. If you recently came to a lot of cardboard because of buying a lot of products or have a lot of boxes from moving, consider keeping them and repurposing them. With that, you can actually give out boxes for free for individuals that may be considering moving in the future. To add to this, you can use boxes for storage, or simply break them down, stack them, or pack them in an area where they will not receive any moisture and keep them for the future. When choosing the right waste management service, it is important to consider the company you are working with. It is important to consider their fees, service costs, days for which they allow you to keep the dumpster, different sizes, and their overall ratings. We are glad to be part of the Pasco areas for years, servicing both residential and local businesses with their waste management needs. 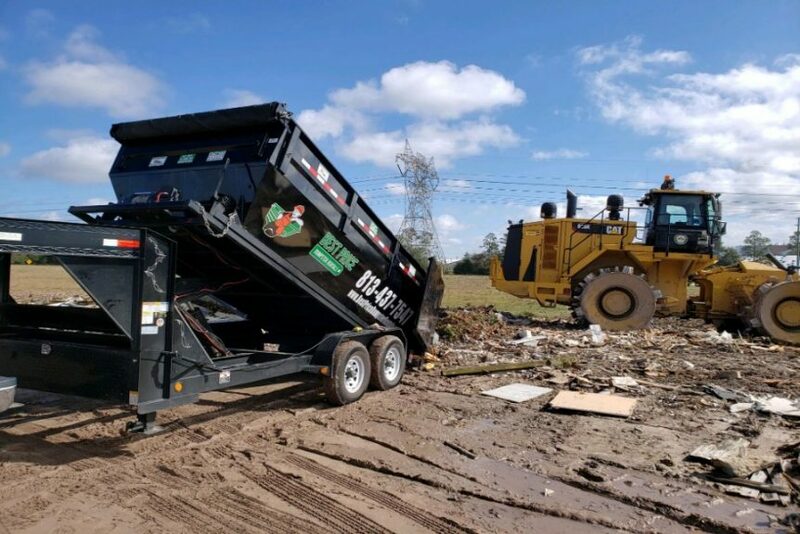 Whether you need an expert Pasco Florida waste management service, or you simply need a small dumpster rental, we are here to make the process simple. Contact us today at 813.437.7547 and get to know your local dumpster removal service provider! !